How do you size up to a bald eagle, a lion, or even a velociraptor? You can find out next time you fly through Pittsburgh International Airport at the new Kidsport! 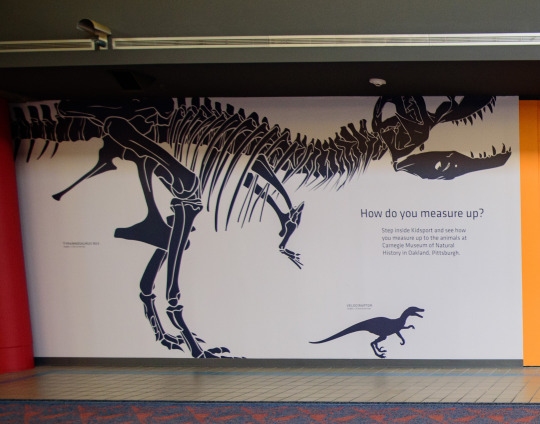 Carnegie Museum of Natural History, as well as several other cultural institutions in Pittsburgh, teamed up with the airport to help create the newly renovated Kidsport – a colorful, 2,100 square foot play and learning space with interactive exhibits for families to visit when they’re traveling. 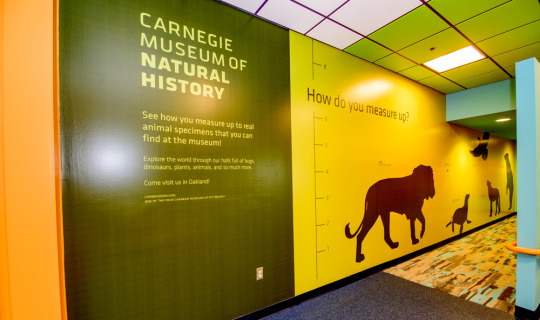 Carnegie Museum of Natural History’s contribution was a series of wall art that lets kids compare themselves to different animals as short as a seal and as huge as a T-Rex! 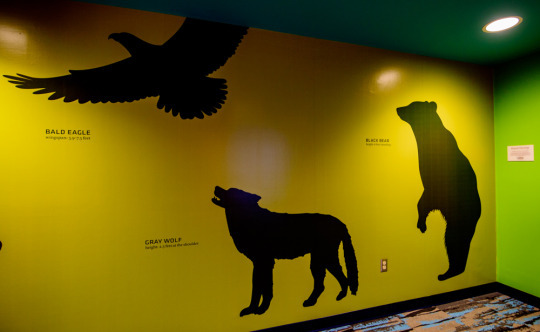 The installations were made possible by funding from the Richard King Mellon Foundation.